Now in its eighteenth year, BIGSOUND Festival is your annual opportunity to discover the future of Australian music. Running over four September days and nights, Brisbane’s Fortitude Valley comes alive with a global gathering of musicians, industry, brands, media and music lovers. By night, BIGSOUND’s festival program showcases the next big thing to fans, industry, and international tastemakers alike. Its massive artist line-up has been instrumental in uncovering names like Methyl Ethel, Stella Donnelly, Flume, Rufus, Courtney Barnett, Megan Washington, The Temper Trap, A.B. Original, Remi, Gang of Youths and more. By day, BIGSOUND presents an invaluable opportunity to meet new collaborators and learn from the best from around the world. The conference program presents ideas from some of the international music industry’s most revered and forward-thinking luminaries. Delegates have heard from and rubbed shoulders with the likes of Nick Cave, Neil Finn, Kim Gordon, Simon Raymonde (Bella Union / Cocteau Twins), Billy Bragg, Amanda Palmer, Peter Garrett, Michael Gudinski (Mushroom), Ben Lee, Seymore Stein (Sire), Michael Chugg, and Steve Earle. You never know who you will meet. Whether you’re an artist, industry professional or still figuring your place in the music industry out, BIGSOUND has plenty of opportunities for everyone. 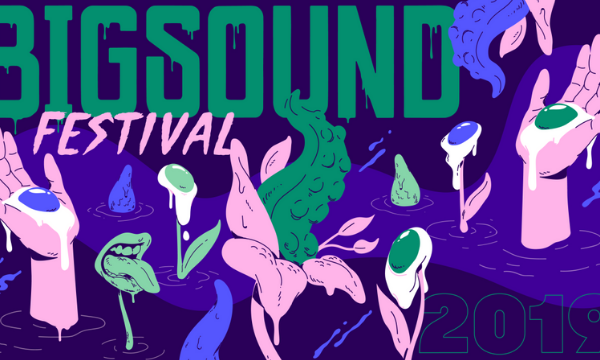 BIGSOUND 2019 will take place Sept 3–6. Conference passes now on sale.